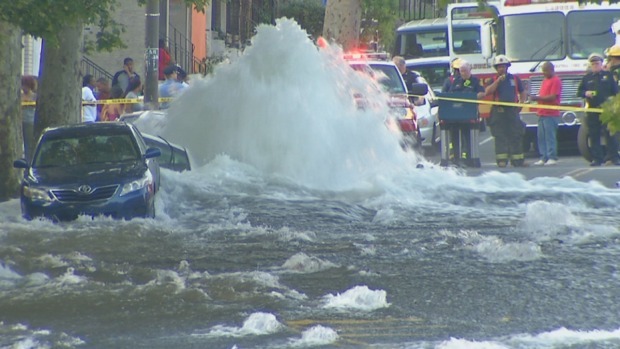 “Water, water, everywhere, Nor any drop to drink.” The Rime of the Ancient Mariner might describe a city street after a water main break. In chilling but melodic verse, Coleridge’s lyric tells the tale of the mariner—who in ancient uncharted seas—shoots the charmed albatross and brings a curse to his ship. His boat is attacked by the sea water, rotting its foundation. The foundation of our water supply is similarly threatened. Water has attacked the pipes with corrosion. 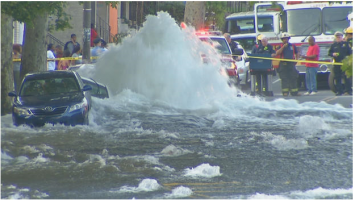 Over 800 water main breaks occur daily in the United States. The cost is staggering, escalating to $325 billion over the next 20 years. Problems with water systems sparked national attention in Flint, Michigan. It wasn’t a water main break. It was water contamination, resulting from a management failure to operate the system in accordance with federal and state guidelines. But it gives water system professionals an opportunity to move the long-term future of the drinking water system into the public forum. 1. Develop a capital project plan. A capital project should prioritize the upgrades based on engineering analysis to maximize the return on the investment. Fixing water main breaks one-by-one is particularly wasteful. 2. Commit to borrowing the money to finance the plan. Conventional general obligation debt: when projects provide multiple benefits to a community. Revenue bonds: for projects that will increase the productivity of a water system, generating revenues that could be available for debt service. Drinking Water State Revolving Fund: The federal program was established in 1996 to provide financing for local water system improvements through state governments. As of 2014, the program has provided $27.9 billion in aid to water systems. The Water Infrastructure Finance and Innovation Act (WIFIA): Additional resources will flow for planning and implementing water system improvements. The WIFIA is in the initial stage of implementation. Real estate capital trusts: suggested by Henry Cisneros, former HUD Secretary, as a way to encourage private capital investment. 3. Provide the resources to cover the borrowing. Expand the base: There are about 50,000 water systems in the United States. In metropolitan areas with cities that have lost population and tax base over the years, systems should be consolidated for economies of scale and improved efficiency. Increase the user fees: According to the Environmental Protection Agency, water rates have not reflected the true cost of water. The average is about $300 per household, per year. An increase of 1 percent, or $3 per year, for the 80 million households served would provide $240 million that could generate $42 billion in WIFIA funding. Tax the alternative water industry: The amount spent on bottled water annually is estimated at $13 billion in 2014. A one-percent surcharge on the gross sales would be $130 million, enough to generate almost $25 billion in WIFIA funding. Improve efficiency: Strategies like Water Distribution Optimization, with a positive ROI, as promoted by Emnet, LLC, can contribute to the solution—as long as the resulting surplus resources are dedicated to financing debt service—not to rate reductions for users. Stop the financial leaks: As required by the Government Accounting Standards Board, publicly owned water systems are accounted for in a segregated fund separate from the general government. Water fund financial statements should be audited independently to determine if operating surpluses would be available for debt service. Capitalize the improvements: If a capital improvement project will increase efficiency and generate surplus revenue, those projected revenues may be sufficient to finance the project. 4. Support a national solution. In its report on financing water system improvements, GAO examined proposals for a national “Clean Water Trust Fund” financed with an excise or other tax for wastewater treatment facilities. HR 4468 was introduced in February 2016, to “establish a Water Infrastructure Investment Trust Fund.” The bill should be enhanced to include a dedicated revenue source like an excise tax. Resources could be directed to water systems that regionalize their distribution systems on a metropolitan basis. The bill considers the plight of low-income households, but it could set a national standard for water expense, just as the Brooke Amendment set 30 percent of income as the national standard for rental expense in federally subsidized housing programs. 5. Prepare for a political challenge. Author: Minch Lewis is an adjunct professor at Syracuse University’s Maxwell School. He served as the elected city auditor in Syracuse, New York for nine years. He has developed financial management systems for the affordable housing industry. He earned his master’s degree in public administration at the Maxwell School. He is a Certified Government Financial Manager. Lewis can be reached at [email protected].